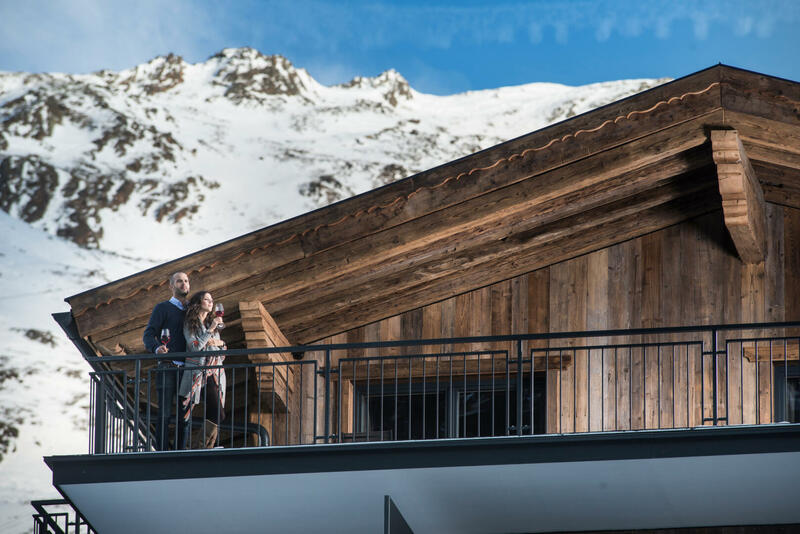 The Gletscherblick Apartments at the heart of the Obergurgl-Hochgurgl ski area offer a wide range of extra services combining private living with the luxuries of a four-star hotel. Our members of staff will be pleased to fulfil your wishes quickly and discreetly, leaving you to enjoy your holiday. Treat yourself and your family to an unforgettable ski holiday in Obergurgl-Hochgurgl in one of our catered ski chalets. 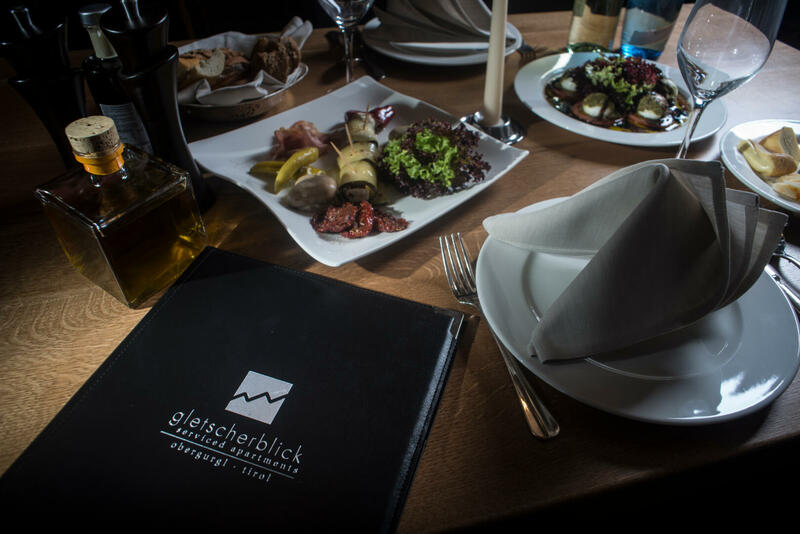 Invite friends round for a cosy evening and try your hand at some delicious Austrian delicacies, or head to the Hotel Edelweiss & Gurgl’s award-winning restaurant and let yourself be pampered with a feast for all the senses. Tip: Read more about our special extras before booking your luxury apartment in Obergurgl! In the living room of catered ski chalet you will find a modern flatscreen TV with a direct connection to the online concierge in the neighbouring Hotel Edelweiss & Gurgl. Any questions or requests you have can be directed either to him or to the reception team at the Edelweiss & Gurgl. Guests staying at the serviced Gletscherblick Apartment in Austria are welcome to use the wireless internet connection throughout their stay. Why waste precious time queuing for your Obergurgl-Hochgurgl ski pass when you can buy it quickly and easily from the reception desk at the neighbouring Hotel Edelweiss & Gurgl? The accommodation is situated next to the ski pistes, so once you have bought your pass you can head straight out onto the slopes. 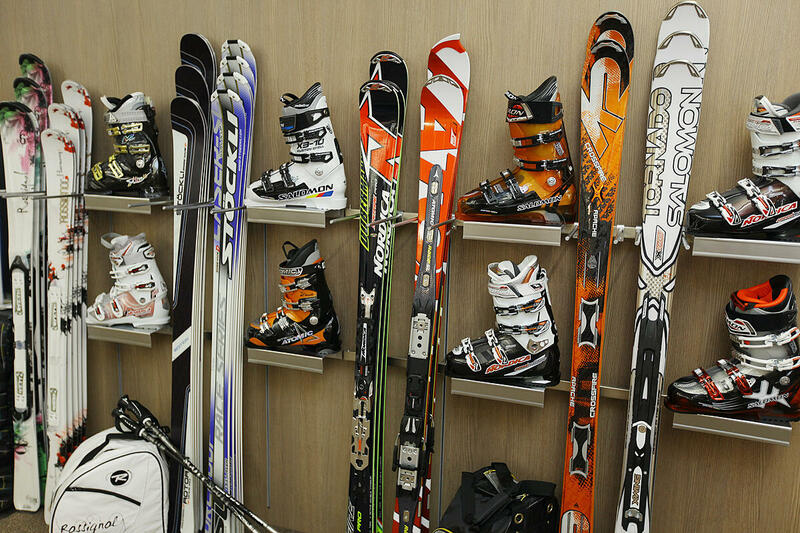 The Sport Scheiber rental shop is located just a few metres from your catered ski chalet in Obergurgl, in the basement of the Hotel Edelweiss & Gurgl. There you will find the latest models, which you can reserve online now so that they are ready for you when you arrive. You will also find the office of the Obergurgl Ski School close by, which offers a wide range of courses for all the family. Contact the ski school for more information about the right course for you and book your lessons today for an unforgettable winter holiday. The neighbouring four-star Hotel Edelweiss & Gurgl has its own ski room with a section reserved for guests staying at the Gletscherblick. There is also a direct connection from the ski room to the Sport Scheiber hire shop, where you can rent out this season’s latest models. The ski resort is just around the corner with the valley station of the first lift located in the hotel. Start the day the perfect way with a healthy breakfast in the rooms of the Edelweiss & Gurgl before heading out onto the slopes for a day exploring the Obergurgl-Hochgurgl ski area. From light snacks to hearty breads and meats, the balanced selection will give you the energy you need to enjoy the magnificent Ötztal Alps. 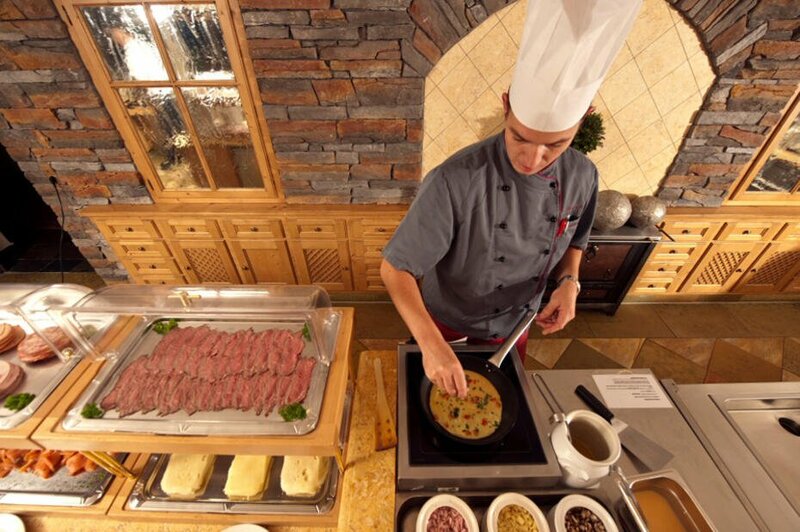 While the breakfast buffet is a splendid start to an action-packed day in the mountains, the five-course meals in the evenings are a real treat to look forward to. Guests booking a half-board package at the Gletscherblick Apartments can enjoy a culinary journey of discovery under the guidance of Edelweiss & Gurgl head chef Alfred Renn and his team. What could be better than relaxing in a warming whirlpool as you look out over the snowy mountains of the Ötztal Alps? 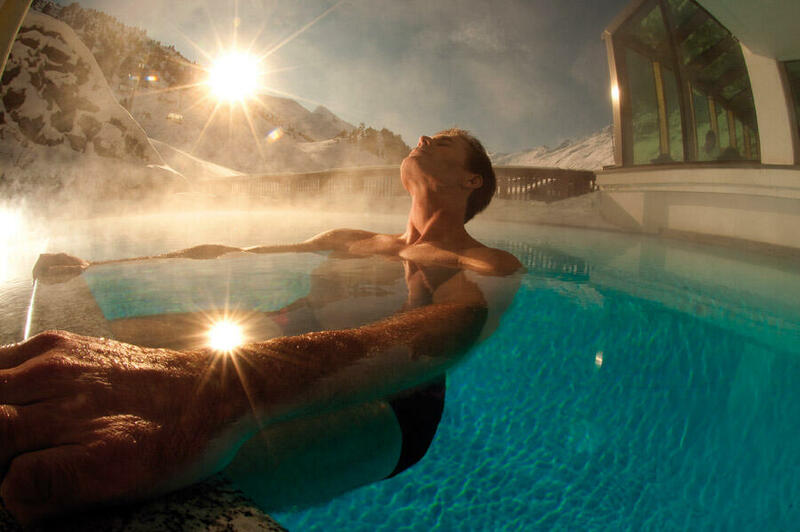 The Glacier Spa in the Hotel Edelweiss & Gurgl is the ideal place to sooth aching muscles after a long day out skiing or hiking in the fresh air. 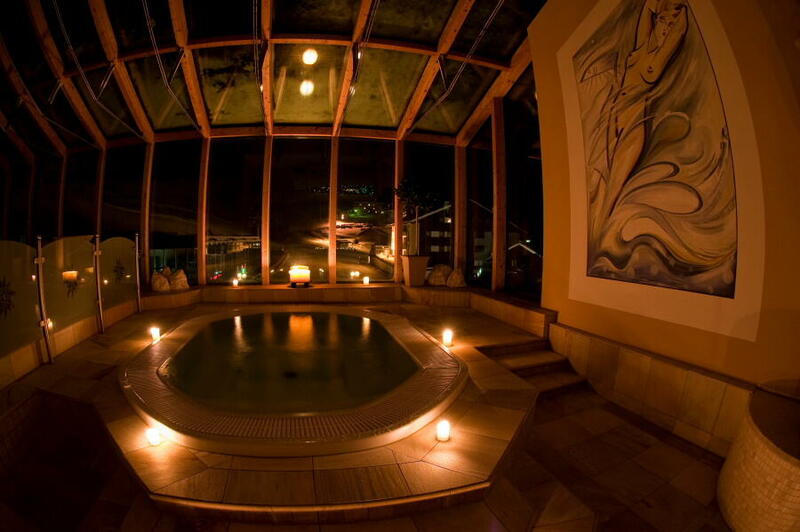 The spa boasts a large indoor pool, a heated outdoor pool and a whirlpool as well as a selection of saunas and steam baths. Guests can also choose from a range of soothing massages on offer. The catered ski chalets combine the privacy of your own four walls with service of the highest standard. Our staff will be pleased to clean your apartment and change your linen and towels every day during your stay. Independent living with hotel service. For guests arriving by plane, we will be happy to arrange a pick-up and transfer service from Innsbruck Airport to the most beautiful mountain village in Tyrol, Obergurgl. We offer private transfers, VIP transfers and a family VIP shuttle service. Use our video chat or text chat service to find out more before you book your transfer online – our staff will be happy to tell you about the different options available. Fancy cooking your favourite dish or trying your hand at some local Tyrolean delicacies in your apartment’s state-of-the-art kitchen? Don’t waste time going to the local supermarket – let us do the shopping for you! Our staff will be pleased to fill your fridge with whatever you want. 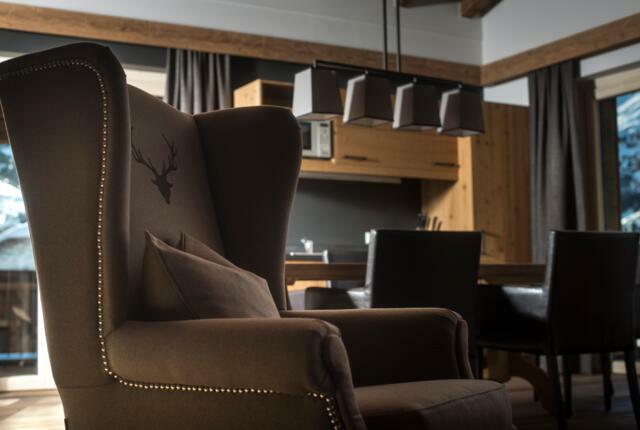 Send us your order online before you arrive, or contact your personal concierge at the Hotel Edelweiss & Gurgl using the flatscreen television in the living room of catered ski chalet. The Hotel Edelweiss & Gurgl beauty and fitness team looks forward to welcoming you to the hotel’s in-house spa. 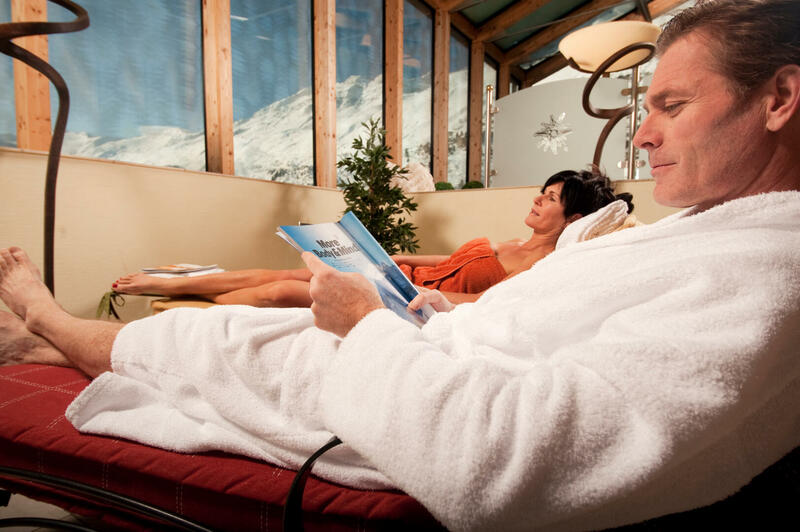 Spread over 1200m², the Glacier Spa is equipped with a modern gym as well as a wide range of facilities to help relax and unwind. Try out one of the soothing beauty treatments, masks and baths – with our experienced beauty experts you are in the very best hands. Guests wanting to work up a sweat should head for the gym, where the hotel’s own fitness trainer will be happy to explain how to use the machines and give you useful tips on the best way to train. Book your holiday in the fascinating scenery of Obergurgl now!